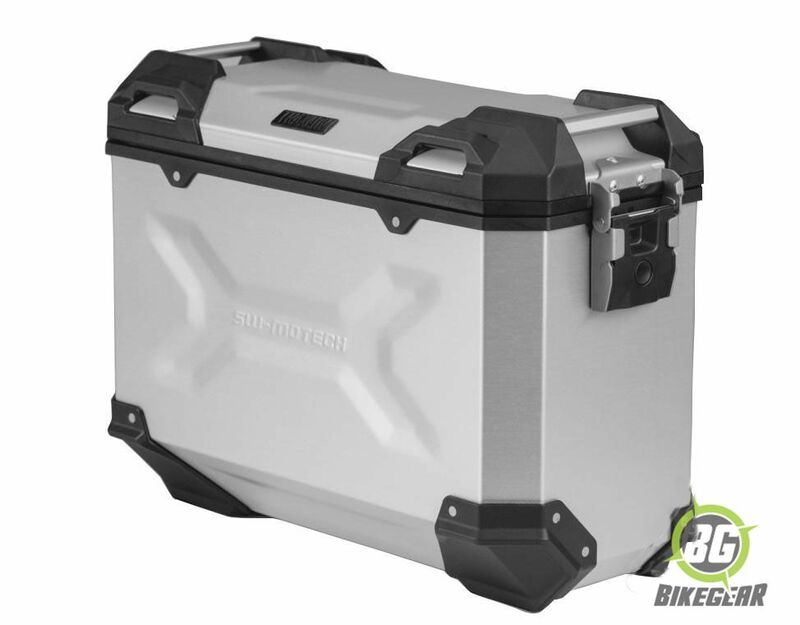 The SW-MOTECH TraX ADVENTURE Alu Side case Kit is a complete turnkey hard luggage pannier system designed for adventure motorcycles,  It includes Evo quicklock pannier frames, 2 panniers, all mounting hardware and matched lock sets. 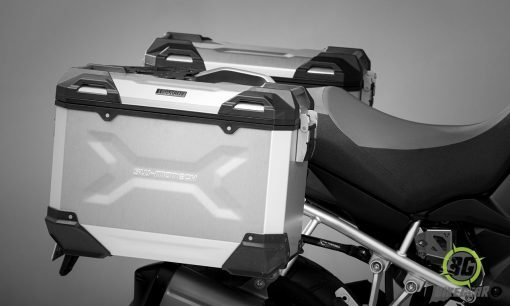 Trax Adventure Side Pannier Kit consists of two TRAX ADVENTURE motorcycle side cases: also included are QUICK-LOCK EVO side carriers, adapters and locking system. 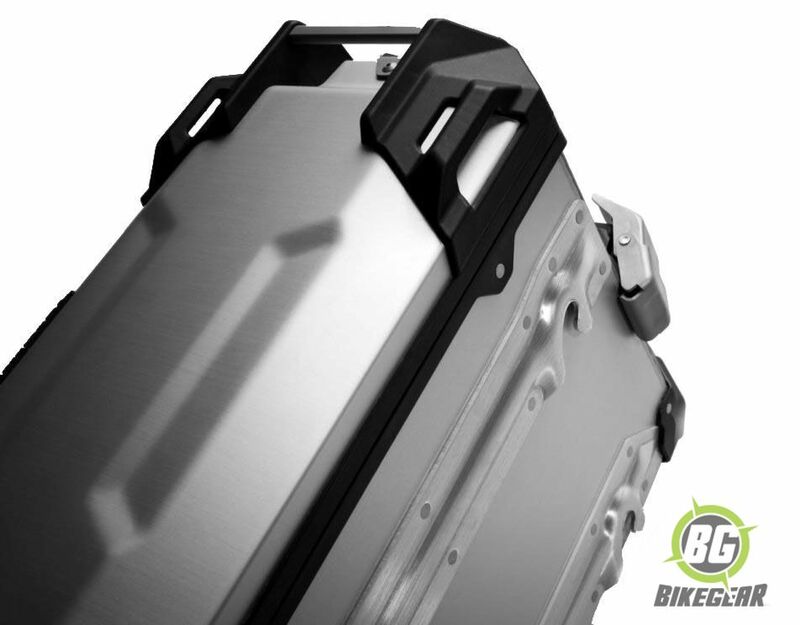 Carrier and case configuration have been carefully selected to complement the motorcycle models tail geometry and exhaust system. 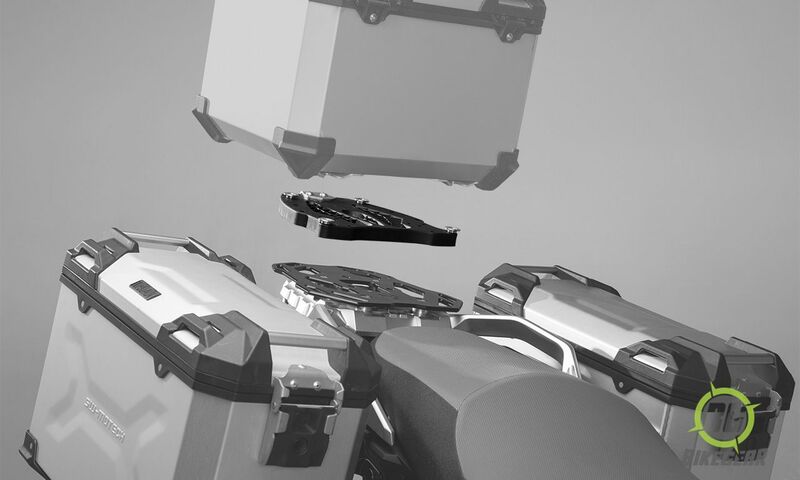 Once installed the QUICK-LOCK EVO carrier can be removed within a very short time.. Also available for the versatile carrier platform are adaptations for other case brands. 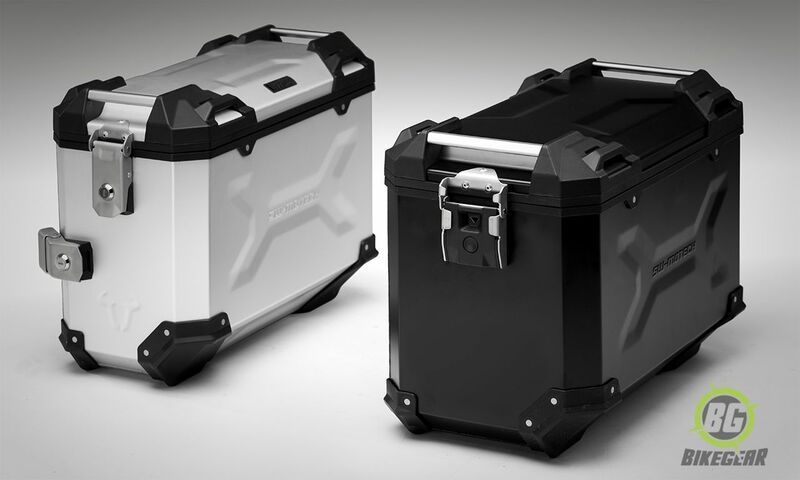 Tough and watertight aluminium motorcycle cases. Anodized surface prevents aluminium residue under all climate conditions. 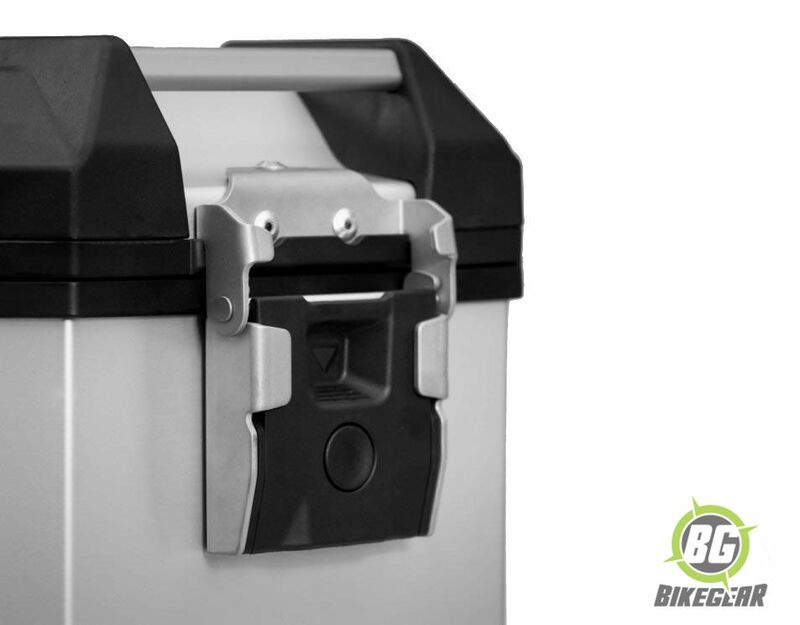 Completely removable lid with quick release fastener and opening limiter. 4 large tie-down points, integrated into the lid geometry. Outer chamfer for best ground clearance while cornering. Corner caps made from glass reinforced plastics. Embossed designs, deep-drawn lid and welded body provide high stability. 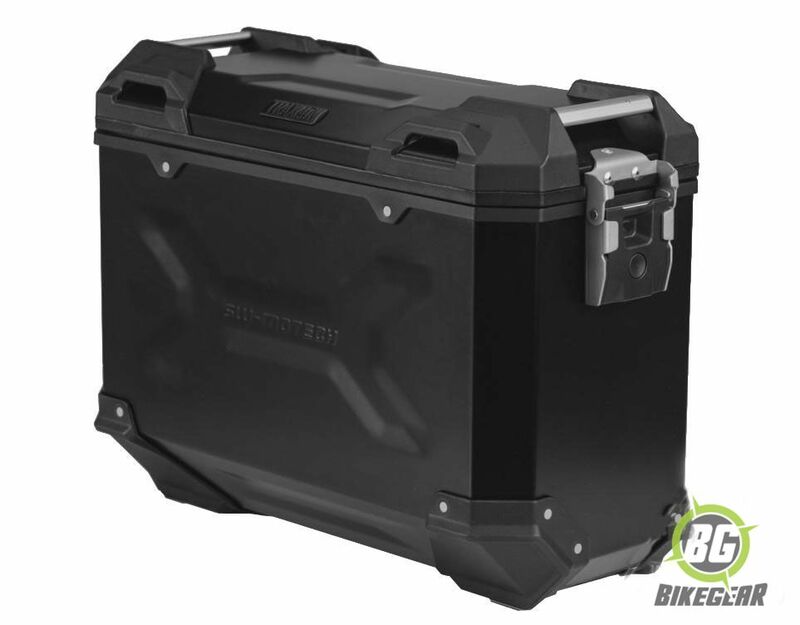 Can be combined with ALU-RACK and TRAX ADVENTURE top cases. Robust steel construction with black powder coating. Quick release fasteners allow carrier mounting and removal within seconds. Unobtrusive installation points at the bike frame. 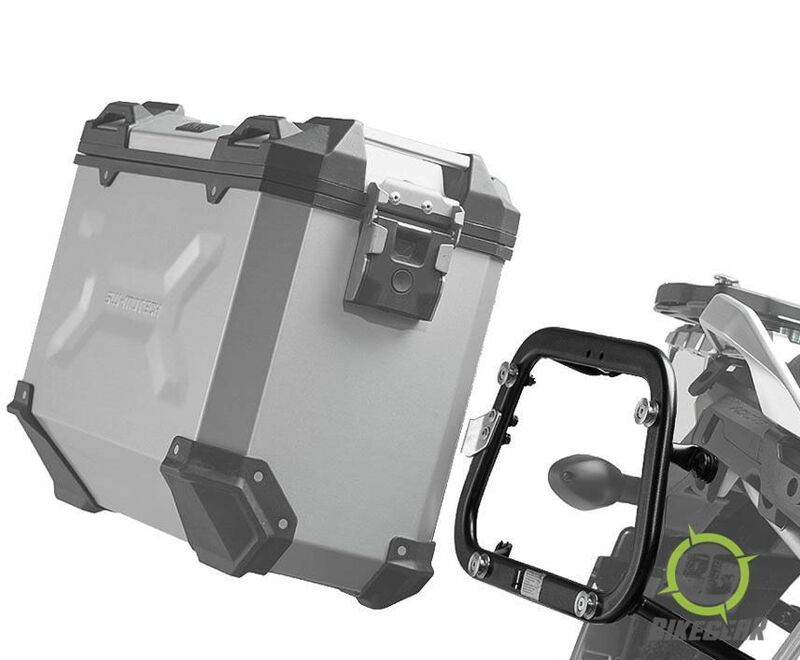 Designed for case mounting close to the motorcycle. Can also be used together with other case brands. Width without cases: 500 mm. 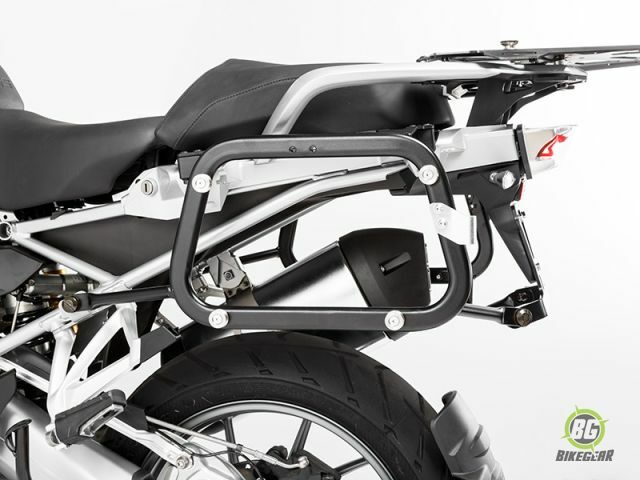 Motorcycle model specific QUICK-LOCK EVO side carrier.